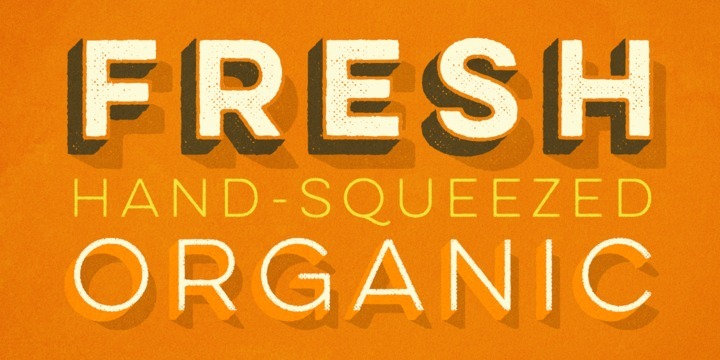 Lulo is an all-caps vintage typeface created by Ryan Martinson and published by Yellow Design Studio. The layered structure allows the designer to use it in various colors and its numerous typographic features (which include bold weights, high-resolution texture, extensive language support) enable to be applied in different styles, weights and angles. A font description published on Tuesday, September 16th, 2014 in Fonts, Yellow Design Studio by Iulia that has 5,426 views.